Welcome to Kirtland's Yarn Barn! 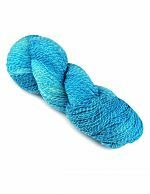 Mirasol Kancha is another new yarn for spring. This is a DK weight yarn, 50% superfine merino lambswool & 50% cotton. 3 supporting patterns have also arrived. 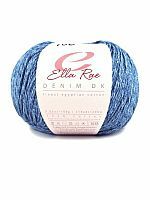 Another new yarn for spring has arrived: Ella Rae Denim DK, in 5 denim shades from natural to dark denim blue. This is a DK weight 100% cotton yarn. 3 supporting patterns have also arrived. 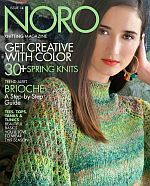 The new Noro Knitting Magazine for Spring/Summer 2019 has arrived! 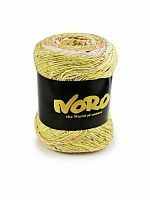 It has 31 designs to knit or crochet in a variety of Noro yarns, including several using the new Akari and Geshi yarns. Akari is in stock; Geshi is on order - you can preorder yarn pacs now. Designs include many women's spring/summer tops, dresses, shawls, ponchos, wraps, cowls, blankets, and more. All 8 colors of new Noro Akari yarn have arrived. 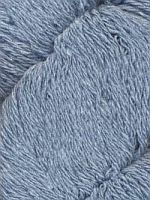 This is a worsted weight self-striping yarn in big 200gm skeins. 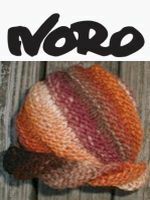 There are 5 patterns using the yarn in the next Noro Knitting Magazine, which should be here in a few days. 25 Jan 2019 - Think Spring! The spring yarns & patterns are starting to arrive. Get your project started now to have a new garment for spring & summer! Queensland Dungarees is a new DK weight yarn made from recycled jeans. Five patterns have also arrived including 2 women's sweaters in petite to plus sizes, a scarf, a cowl, and a wrap. We also have new colors of Noro Kumo, Noro Nishiki, EYB Kid Cotton, and Queensland United in stock. These yarns all include some percentage of cotton fiber.